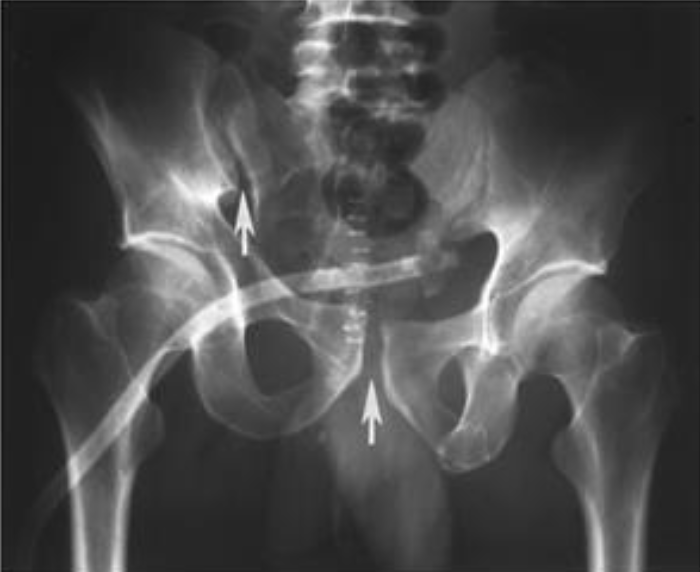 Definition: Unstable ipsilateral anterior and posterior fractures of the pelvic ring, with resultant superior displacement of one hemipelvis. Also known as the Malgaigne fracture. 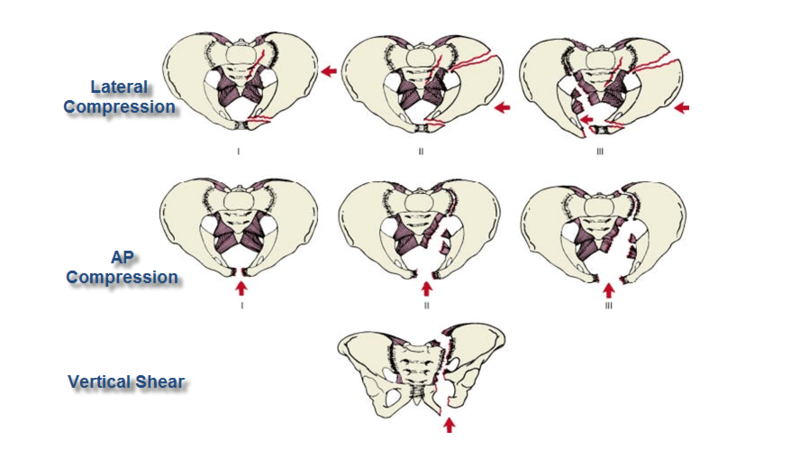 Gentle bimanual compression to both iliac wings. Should only be performed only once, given risk of disrupting early clot formation and tamponade. 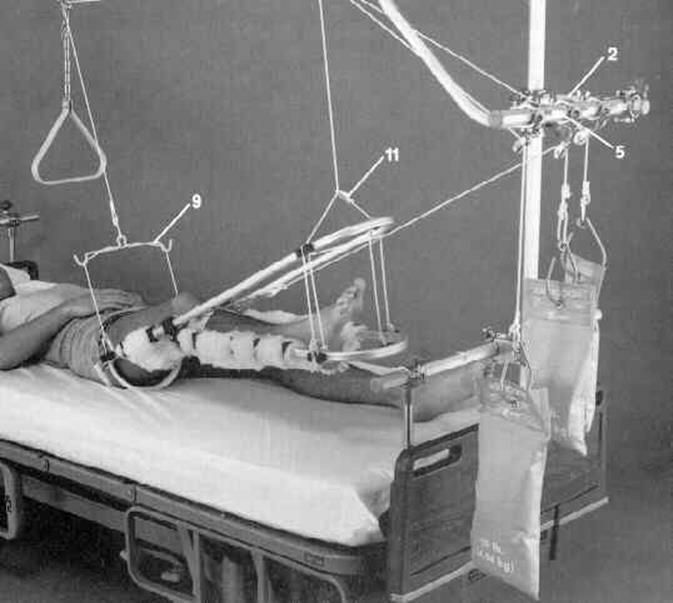 Alternate approach: because of the potential to disrupt clot or worsen bleeding in severely injured trauma patients, it is reasonable to simply place a pelvic binder and obtain imaging instead of applying these maneuvers. 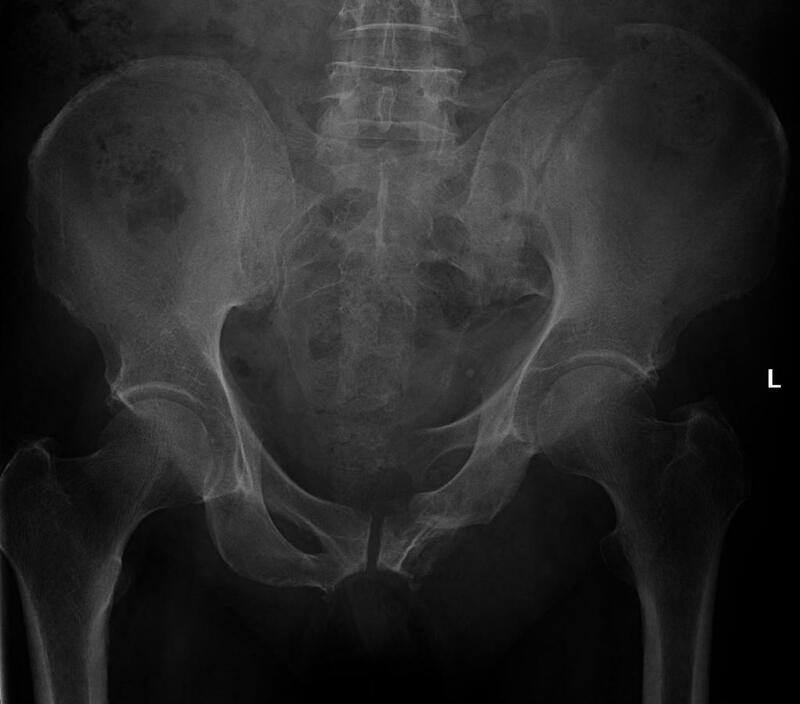 Assess for limb length discrepancy, with shortening of the lower extremity ipsilateral to the pelvic injury. Gross hematuria for GU injury. 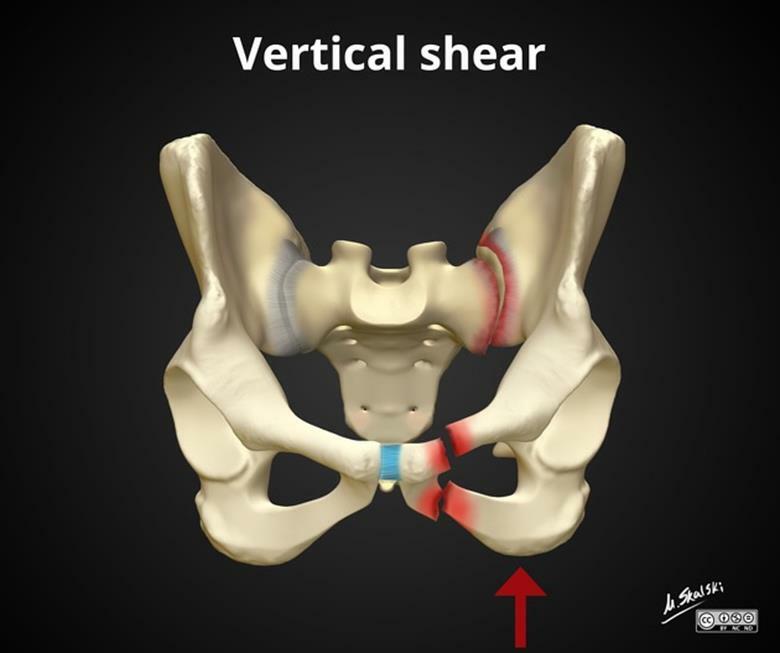 A Stable Isolated iliac wing fractures, avulsion fractures of the iliac spines or ischial tuberosity, nondisplaced pelvic ring fractures. 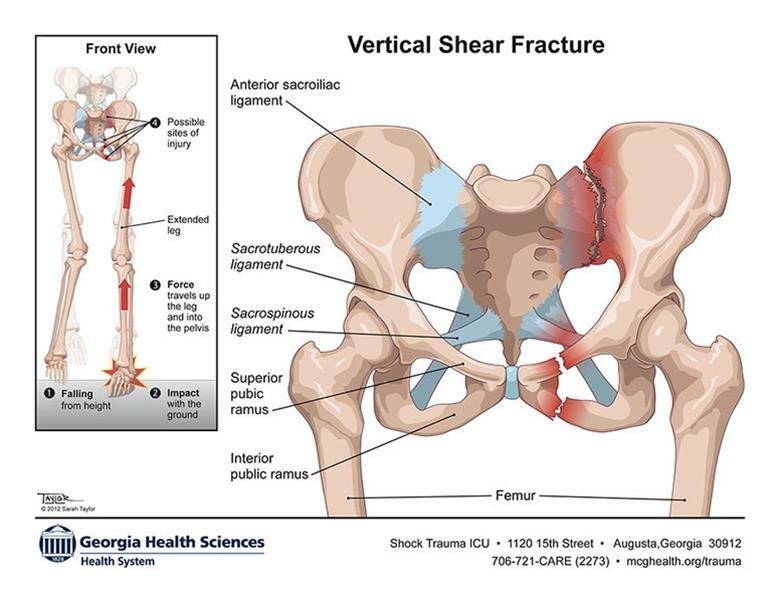 B Rotationally unstable; vertically stable Open book fractures, lateral compression fractures, and bucket-handle fractures. 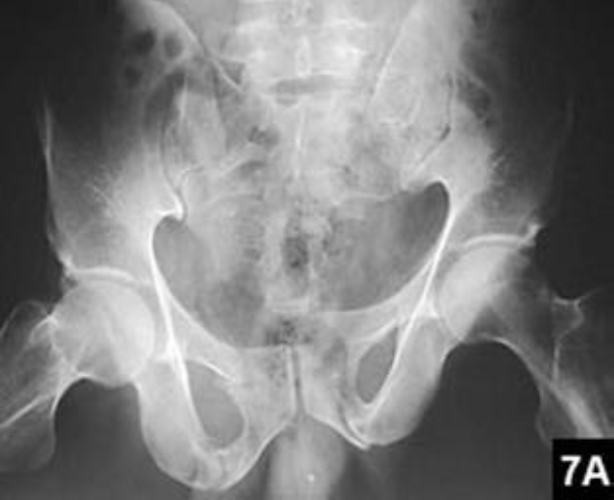 With only 3 cm of additional pubic symphysis diastasis (separation), the pelvis doubles in volume, allowing for significantly more bleeding before tamponade. 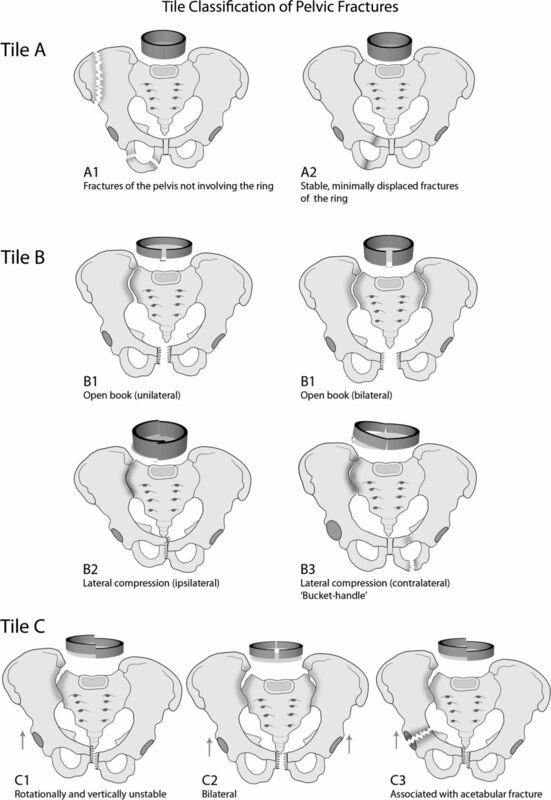 Superior displacement of hemipelvis on radiography is diagnostic but may be absent. 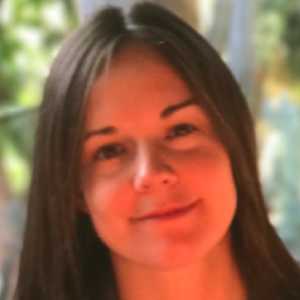 Consider CT imaging if posterior injuries are not visible on X-ray and if patient is hemodynamically stable.